← Come see us at our Birmingham Job Fair! 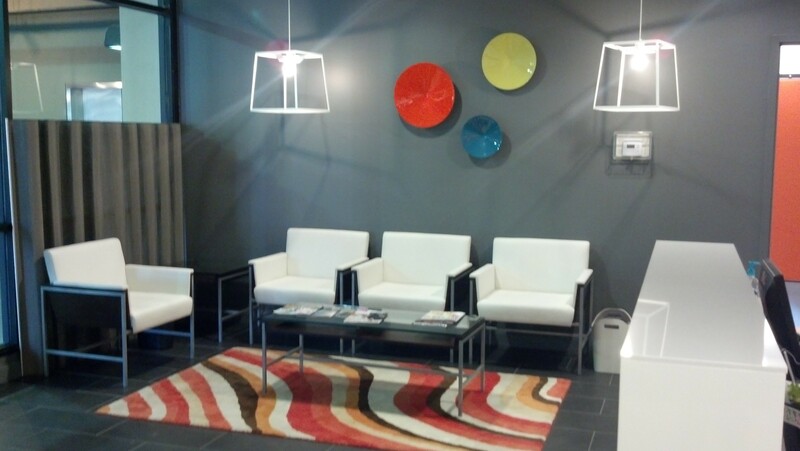 Our bright reception area greets you when you walk in the door. 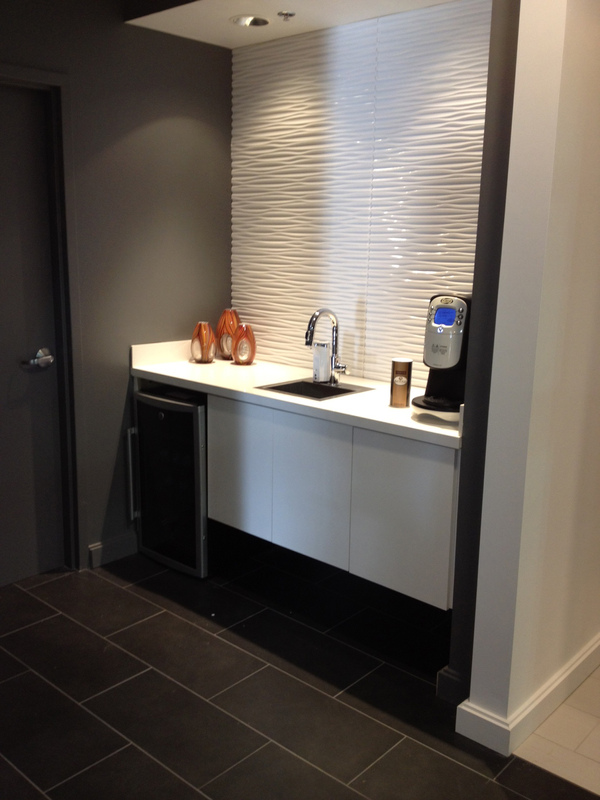 Coffee nook for guests is also in the front lobby. 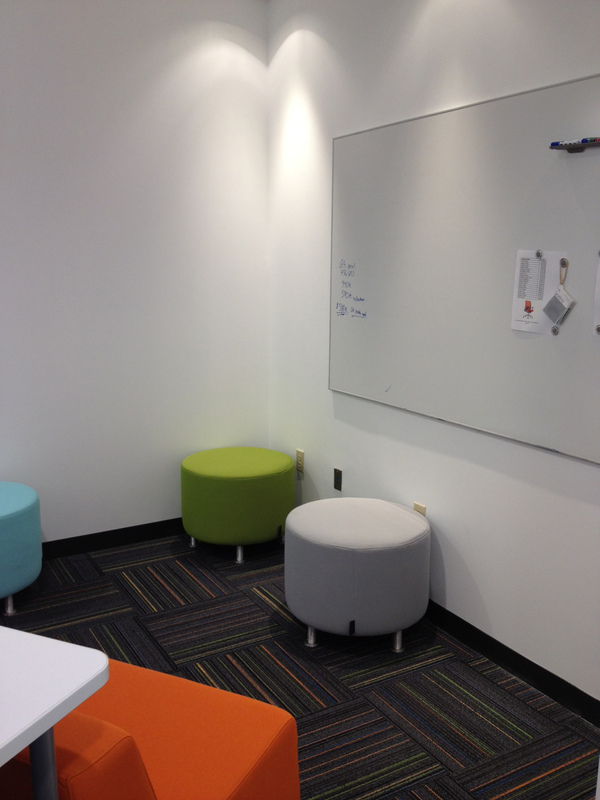 Lots of good ideas will be coming out of this brainstorming corner! 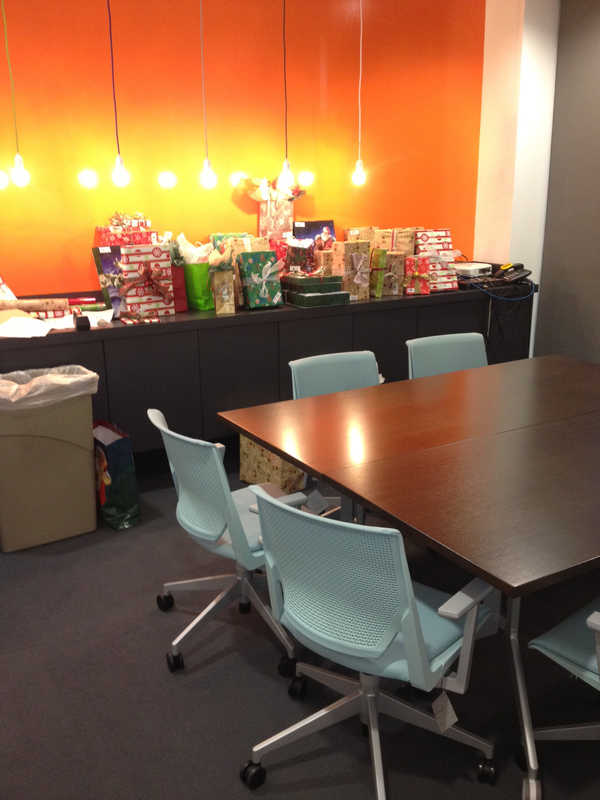 One of our meeting rooms. Notice the ITAC logo on the back of the chair! 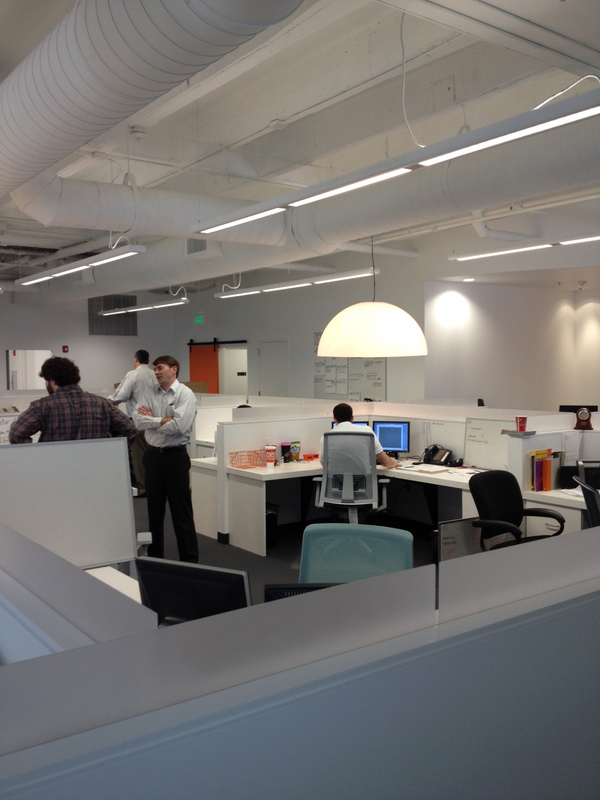 The conference room has more bright orange, funky lights and modern chairs. 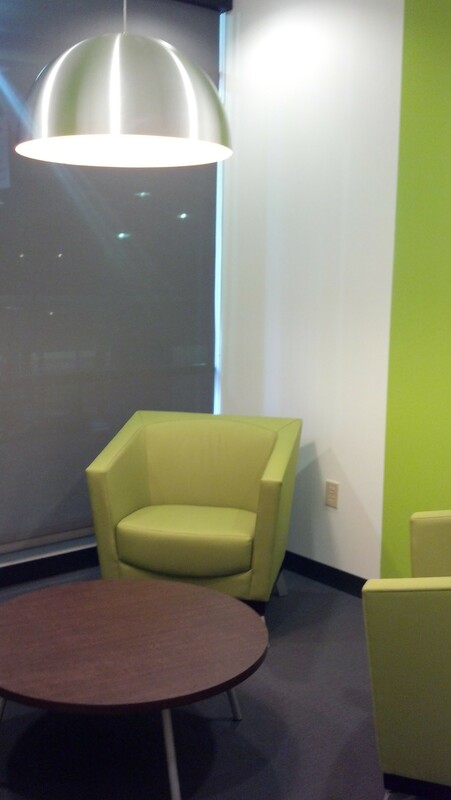 Bringing in more color with green kitchen chairs. 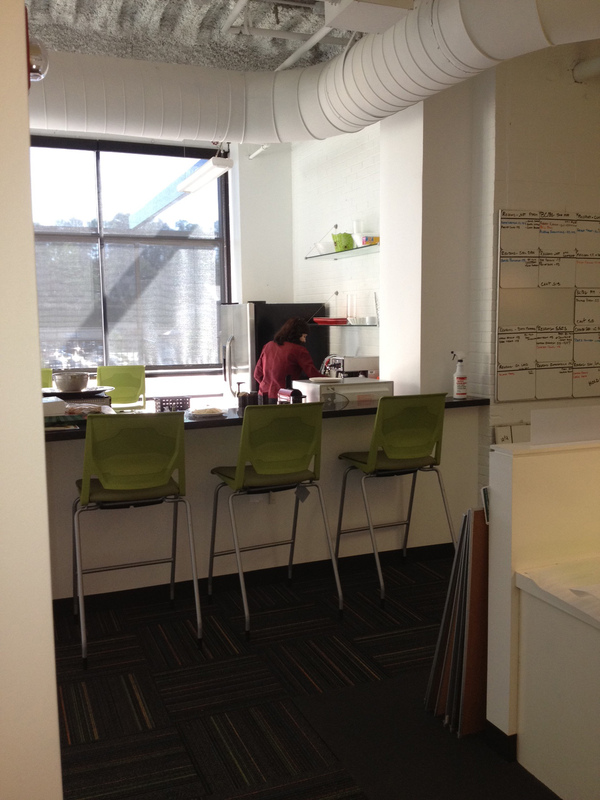 Our recruiters were in separate spaces at our old office, but now they all work together in one big, open, bright space. This entry was posted in Office move, Uncategorized. Bookmark the permalink. 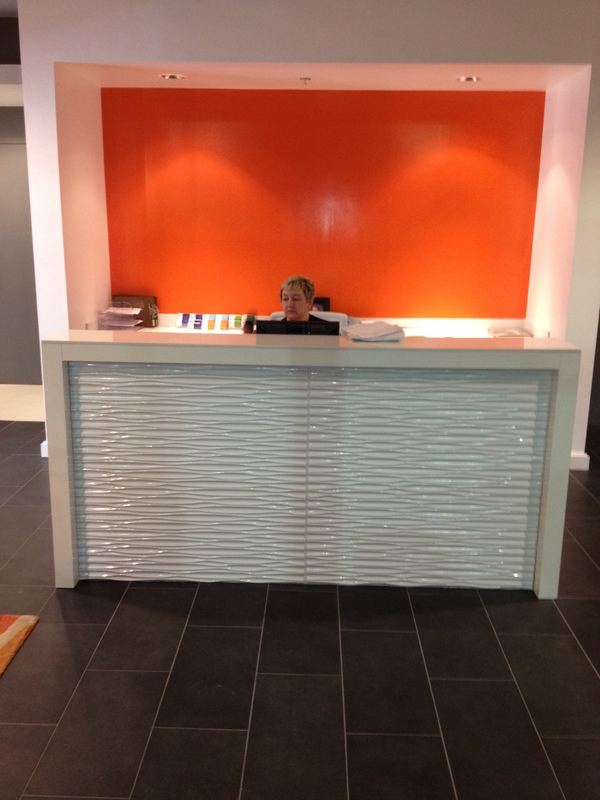 Your new office is awesome> Have any opening?